Corporate Overview - Applied Rigaku Technologies, Inc. 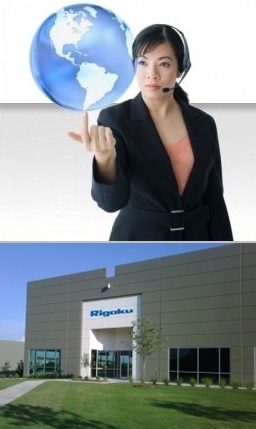 Established in 2009 as the "Energy Dispersive X-Ray Fluorescence "Center of Excellence" division of Rigaku Corporation, Applied Rigaku Technologies, Inc. (Austin, Texas, USA) is responsible for the engineering and production of Rigaku EDXRF products worldwide. At the PittCon 2013 exhibition in March in Philadelphia, ART accelerates our pace on innovation with the introduction to the world of our 5th new product: he Rigaku NEX OL on-line process elemental analyzer. The company designs and manufacturers benchtop EDXRF elemental analysis instrumentation for non-destructive analytical chemistry applications, including atomic spectroscopy (spectrometry), quantitative and qualitative elemental analysis. Current instruments include the state-of-the-art polarized (cartesian geometry) Rigaku NEX CG EDXRF spectrometer and the new lost-cost Rigaku NEX QC and NEX QC+ elemental analyzers. In addition, ART offers a 3rd generation X-ray Transmission (X-ray Absorption) process gauge (NEX XT) for the determination of sulfur (sulphur) in a wide variety of heavy viscous hydrocarbon matrices, including bunker fuels, crude oil, and residuums.